In September 2003, a Florida woman named delivered her son via C-section at Naval Hospital Jacksonville. She says she noticed a shooting pain immediately after delivery. “It feels like fire, like a poker next to my tailbone. On occasion, it shoots down the left side of my leg on my calf, and then down and into my foot,” she told NBC News. A recent CT scan finally revealed the cause of her back and leg pain, which continued for 14 years after her C-section. There was a broken, 3-centimeter epidural needle in her spine. She filed a medical malpractice lawsuit against the federal government, claiming that the needle caused permanent nerve damage. But how do you file a medical malpractice claim against the federal government? It’s not always easy to sue the government (whether it be a municipal or state government or the federal government). There is a doctrine called sovereign immunity that says the government can’t be sued without its consent. However, governments do consent to legal liability in certain circumstances, usually through legislation that permits private parties to enforce a particular law. For example, there is a federal law called the Federal Tort Claims Act that permits medical malpractice lawsuits like the one recently filed by Bright. The negligent or wrongful conduct must have been performed within the course of the government actor’s employment. For example, if the employee is a doctor and injures you during treatment, that injury is within the scope of his employment. Government contractors usually can’t be sued under this law. The FTCA only applies to government employees. However, if the contractor is treated like an employee then his conduct might be covered by the FTCA. It depends on the facts of your case. 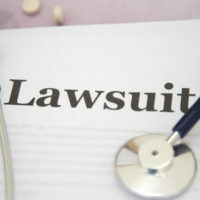 In a typical personal injury or medical malpractice case you would file a lawsuit in court. But under the FTCA, the first step is filing a claim with the federal agency responsible for the employee’s conduct. You must file your claim within two years of the injury, and the agency must respond within six months. If the agency rejects your claim, or doesn’t pay the damages that you requested, that’s when you can file a lawsuit. An experienced attorney can guide you through this process. Contact a Jacksonville personal injury attorney at The Pendas Law Firm today for a free consultation if you were injured by medical malpractice. We will seek the compensation that you deserve, whether it’s from a private doctor or a government doctor. The Pendas Law Firm also represents clients in the Fort Lauderdale, Orlando, Fort Myers, West Palm Beach, Tampa, Miami, Daytona Beach and Bradenton areas.